"Yes!" exclaimed Jack Dorsey in a chirpy tweet on Thursday. "Keith and team are joining Twitter to help lead and strengthen our service!" First of all, ecphoneme extreme; secondly, who? 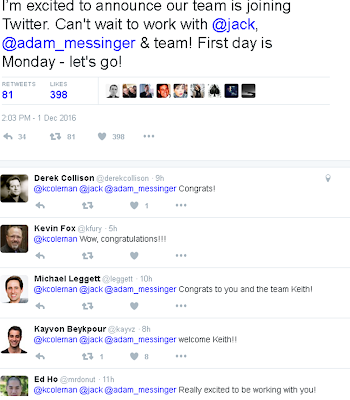 Yes only has seven staff members, including Coleman; and since Twitter acquired the company for an undisclosed amount, all of them are now moving to its product or engineering departments. Indeed, Yes Inc. is now set to close its doors for good. 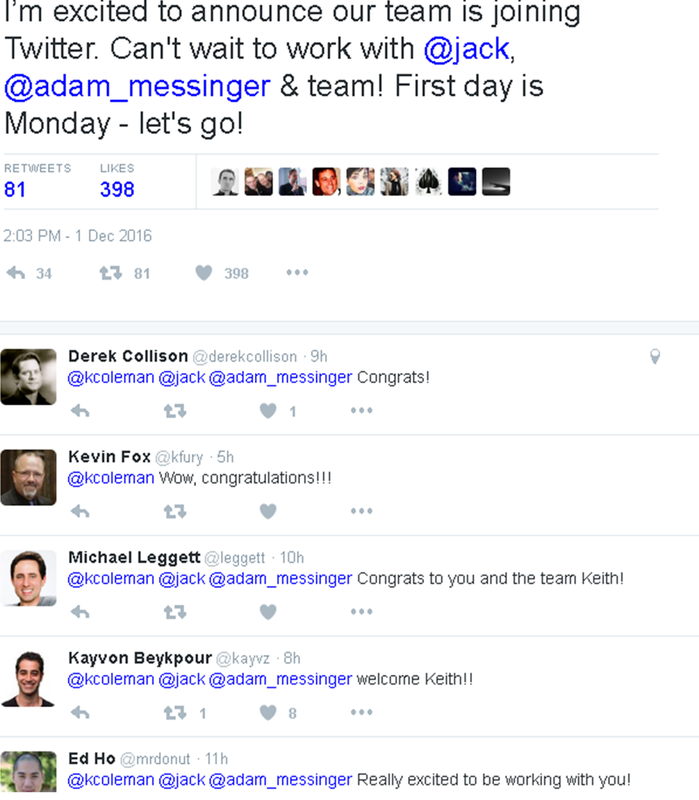 Coleman himself seems to be getting a warm welcome; judging, at least, by his own announcement tweet, the comments upon which include various "congrats" and "excited to be working with you" messages from people who are either members of Twitter's product and engineering teams or surprisingly vigilant trolls. But the sentiment isn't necessarily shared by the wider tech media. Whilst a lot of people simply haven't heard of Coleman before, others are suggesting that he may not be suitable for the role at all. 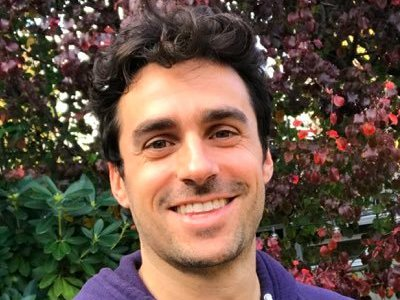 Despite the fact that Coleman graduated from Stanford University and spent 10 years as a director of product management at Google, working on Gmail, Inbox and Gchat, some are highlighting the fact that Coleman's Twitter page itself shows only 143 tweets over the past eight years. Nonetheless, it seems his lack of engagement with the thing which he's now going to be working on wasn't sufficient to rule him out of Jack Dorsey's estimations when he was looking for a new product chief. Indeed, why should it? Dorsey, it seems, has acquired a start-up mainly to get the skills of its CEO; proving know-how and acumen always trump flash. Another factor, however, may be the chronic need within Twitter for a head of product to take the reins. The position itself has been unfilled since January this year, when Kevin Weil left and went to Facebook. Indeed, Coleman takes the total number of people in the job since 2014 to five, leading Business Insider to speculate that it might be a 'cursed job.' Still, just as Dorsey may have swallowed his scruples about Coleman's dormant Twitter feed, Coleman seems to have done the same with regards to job security. After all, who else in the world gets the opportunity to say they've worked for Twitter? I think we all know the answer to that: either members of Twitter's product and engineering teams or surprisingly vigilant trolls.